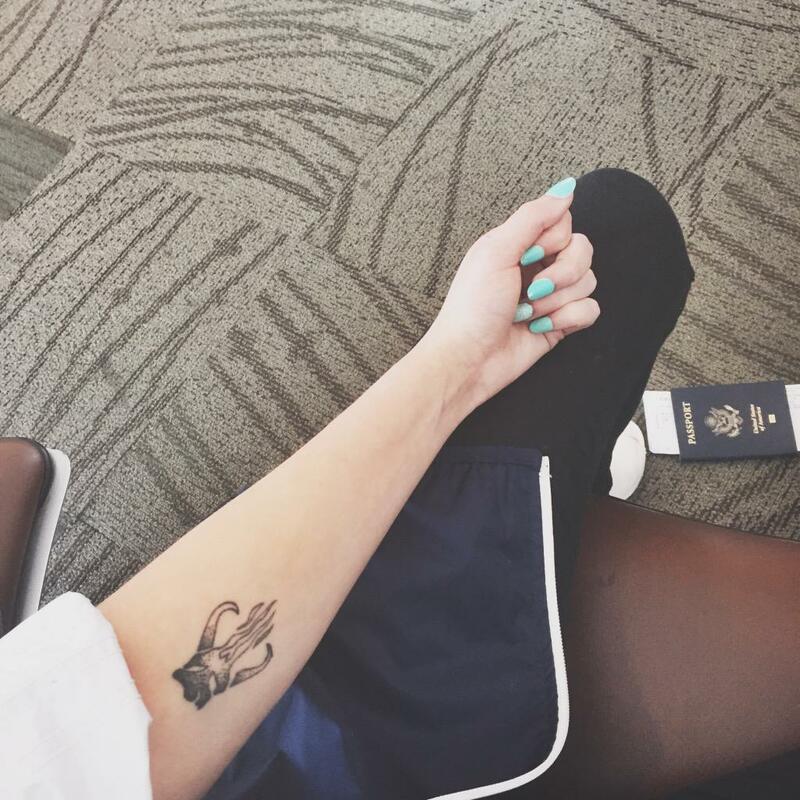 We look at all the stories behind the ink in our Halsey tattoo gallery. Halsey is no stranger to ink, boasting several pretty unique designs that you may have spotted on Instagram or Snapchat over the last couple of years. But what do they mean? 1) "I'm a loser baby" neck tattoo. 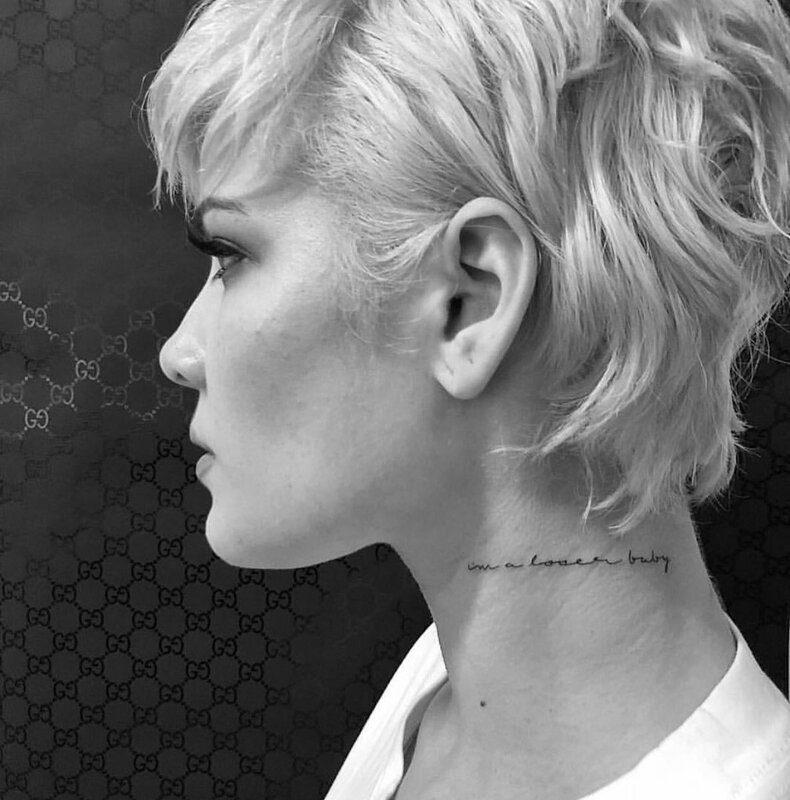 Halsey stopped by Jonboy's studio to get a neck tattoo worthy of the Beck song it was inspired by. The dainty words on her neck are the lyrics to Beck's 1994 song, "Loser". 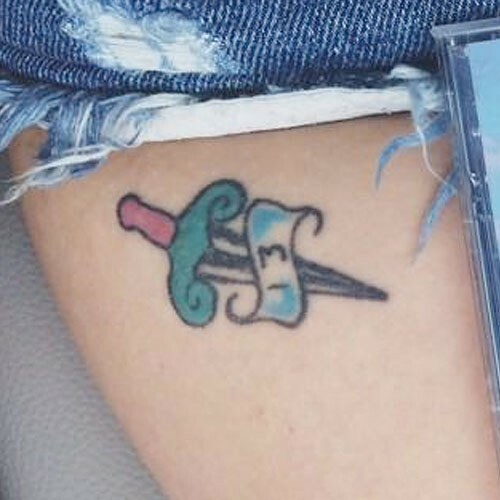 Halsey has yet to explain what prompted the beautiful new ink buuuut, we're guessing she's a pretty big Beck fan. 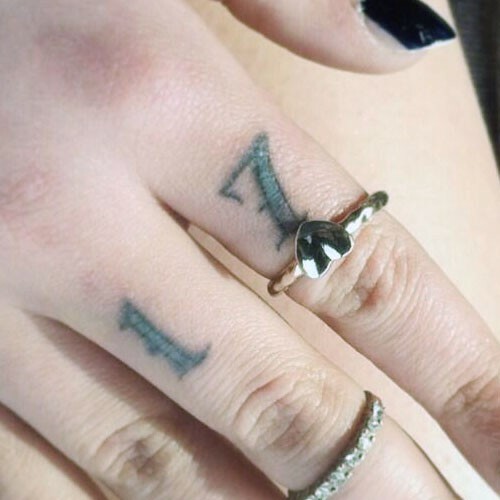 Halsey got a tattoo of two kissing mouths on her upper knee by Curt Montgomery. She got another one at the same time but said it's a 'secret' for now. What do you think the other could be?! 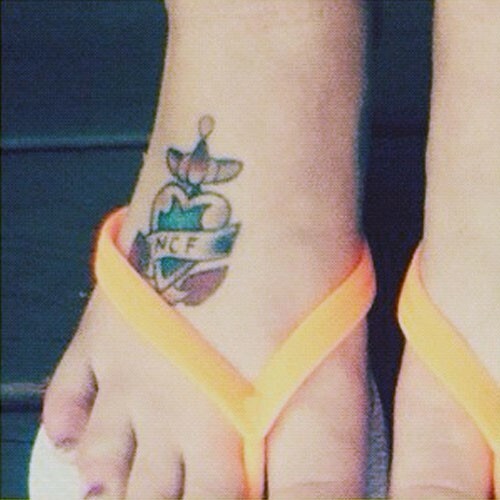 The design on her right foot was the first tattoo she ever got, the initials above it belonging to her Mom who got the same tattoo but with her daughter's initials instead. That is some serious family bonding right there. 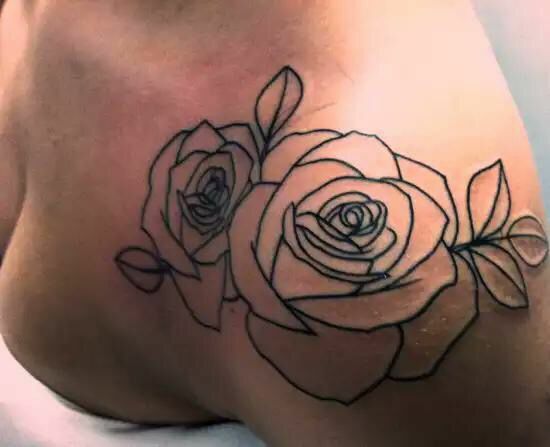 A celebratory piece of ink for her 16th birthday and one of her most recognisable pieces, the left shoulder rose design is not filled in out of choice - she's said she just prefers the design like that. Halsey explained the poignant reason behind this design to iheart last year. I got it in remembrance of a friend that passed away. This one was also when I was 16. I got it with a fake ID. It's awful. I got it in some back alley tattoo shop in Strasburg, Pennsylvania. No joke. It's all scarred and gross. As any self-respecting Star Wars fan knows, this is the symbol that can be found on the helmet of Boba Fett. And we all know that Halsey is a big Star Wars fan. Side note - remember when she went to see The Force Awakens with Josh Dun? That looked fun. 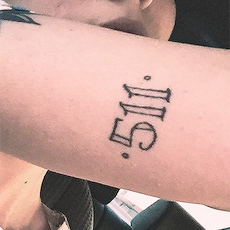 The '511' numbers represent her brother's birthday, November 5th. Simple. 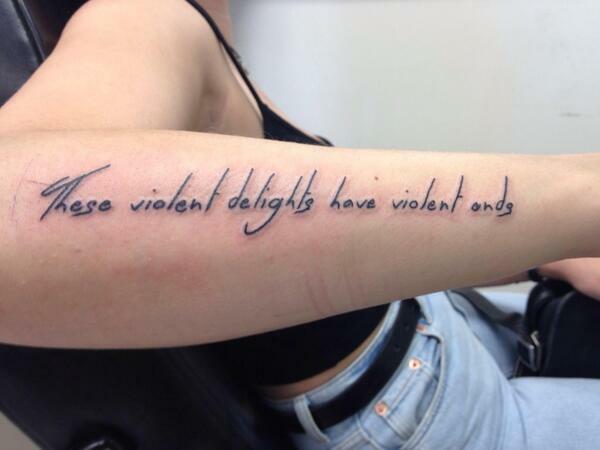 8) "These violent delights have violent ends." 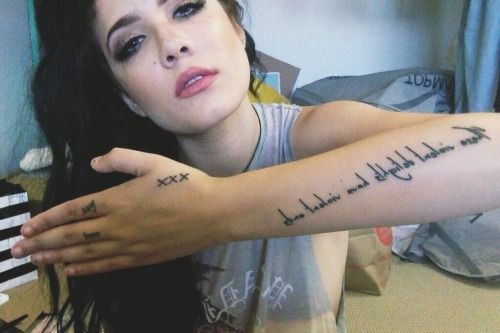 Halsey's forearm tattoo is a quote taken directly out of Shakespeare's Romeo and Juliet. Whether or not it also acts as a tribute to Leonardo Di Caprio is unknown at this time. @ Halsey confirm? 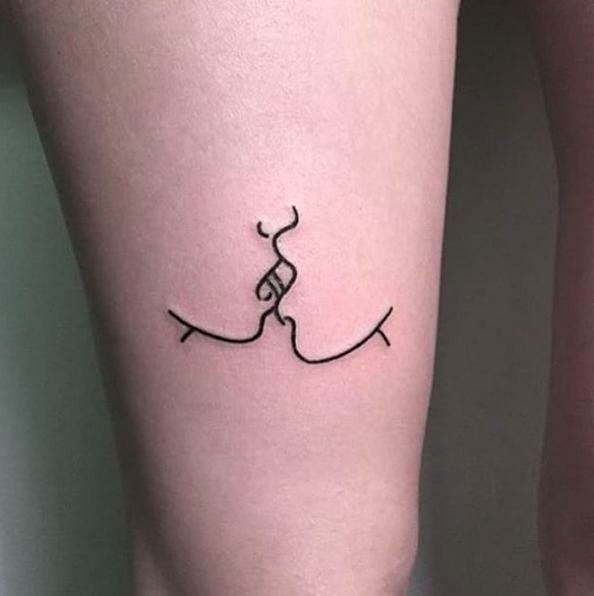 Inked by legendary tattoo artist Joshua Marks, the distinctive upside down image is, hilariously, the opposite of the lucky symbol we all know. Halsey explained why to iheart. 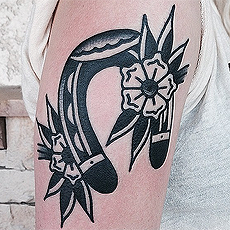 In tattoo culture, you're not supposed to tattoo a horseshoe upside down because it means all the luck is spilling out, so it's actually bad luck. I got an upside down horseshoe to signify that I don't need luck. I work really, really hard, and I believe in the stars aligning, but I don't believe that anything happens to anyone based out of sheer luck. I believe people work really hard, and they manifest what they want, and what they need, and what they're hopeful for, and that's what this is -- a reminder. Her lucky number. Also in the title of her favourite Zac Efron body swap movie. This one actually comes from, as you might expect, the stars. I got Mars because I met a guy on tour that I became really good friends with, and his birthday is on my half birthday, and I'm a Libra. So my ruling planet is Venus, and his ruling planet is Mars, which are also opposites. So it's like opposite birthdays, opposite signs, technically opposite personalities in astrology, but complete opposites, and we were really good friends. So I got Mars, and he got Venus. We got each other's planets. 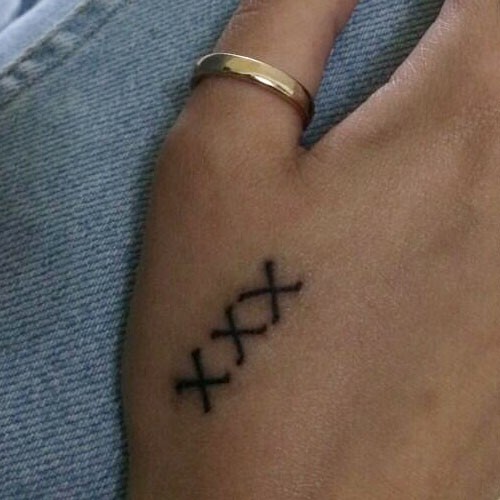 Famously, Halsey got these "match"-ing tattoos with several of her fans. The ultimate piece of merch in so many ways. They mean multiple things. My grandma used to do x's for my brothers and I, so it's me and my two brothers. But it kind of turned into a different meaning, because it almost means like a parental advisory, like it's an explicit thing, which is really funny because I've found many people consider me to be incredibly explicit when I don't realize that I am. 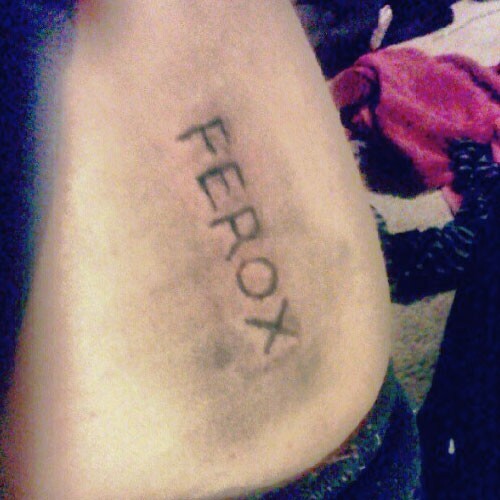 So it's almost like a joke, like I myself have a parental advisory label on me, on my body. 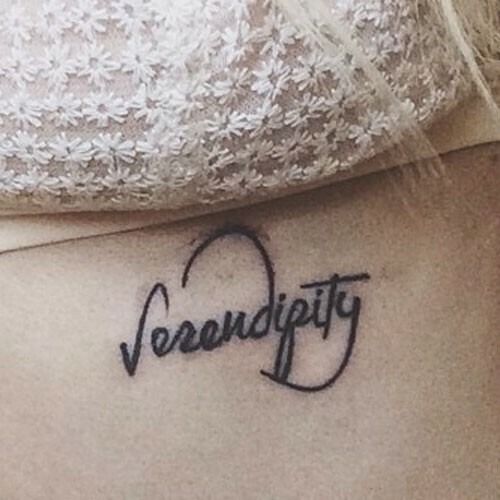 Another tattoo shared with her mom, it is a direct reference to the self-described "happy accident" that led to her mother becoming pregnant with her at the age of 19. Thankful for her family, Halsey has kept this positive attitude with her into her career and beyond. 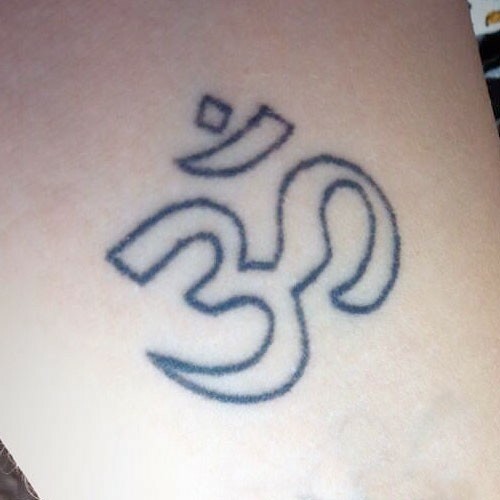 From August 2013, the symbol represents the sound of the universe and is largely found in Hindu culture. The latin word for "wild, courageous, spiritable", this tattoo was inked by a friend of hers in a very DIY fashion with a sewing needle and Vodka bottle among the equipment. Very courageous indeed. Not, as some initially suggested, a self-portrait, the tattoo was done by Curt Montgomery, known for his minimalist and subversive designs. He has also inked DNCE and Jonas Brother star Joe Jonas. Not a great deal known about Halsey's upper thigh tattoo, but her initial Instagram post did came with the quote "It is the time you have wasted for your rose that makes your rose so important." from 'Le Petit Prince', a well knows novel by French aristocrat, writer, poet, and aviator Antoine de Saint-Exupéry.